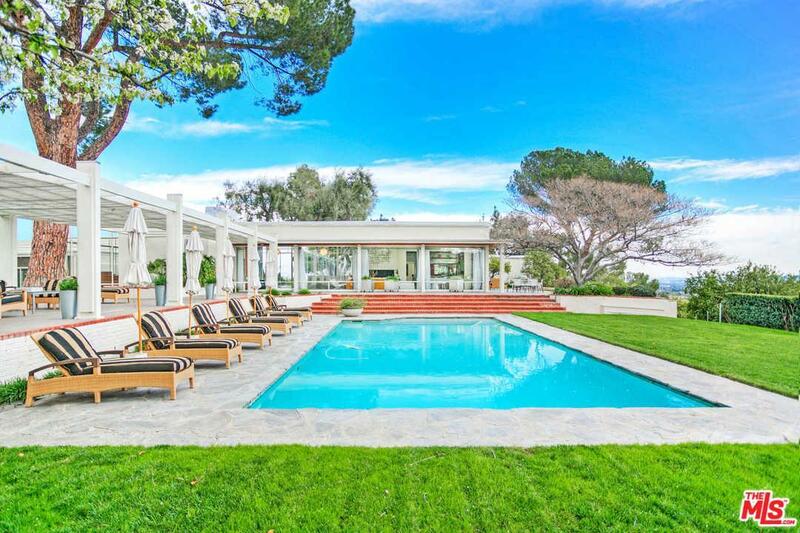 This iconic Mid Century Modern Architectural estate sits atop a completely private promontory above the vast 1,325-acre Chatsworth Reservoir nature preserve. Located minutes from celebrity enclaves of Hidden Hills, Calabasas and nearby prestigious Sierra Canyon, Viewpoint, and Chaminade schools. 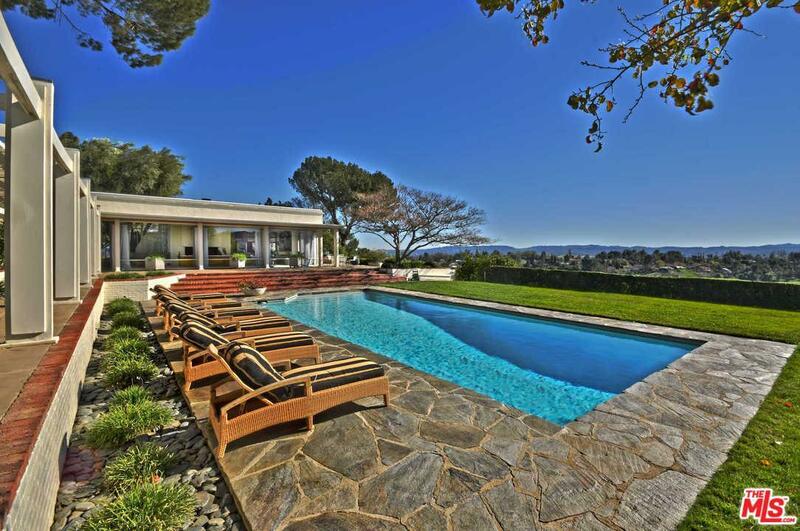 The home, guest house and pool cabana have a total 7 bedrooms, 7 baths and 2 - 1/2baths, with 360 degree panoramic views of the entire valley and mountain ranges.Known as" Byrdview, one of the most recognized celebrity homes in America" this stunning example of true " Architecture as Art". 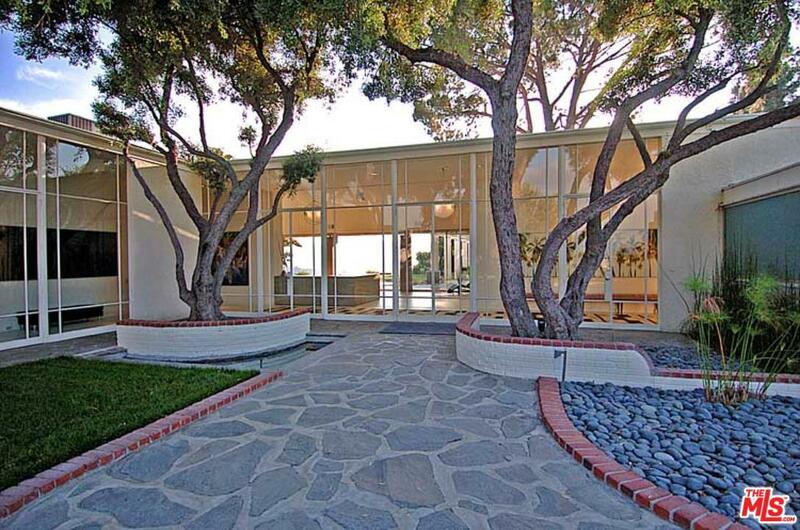 Built in 1949 by one of America's greatest architects, William Pereira. It is one of only 4 homes he designed. The house has 16 ft. ceilings and is surrounded by glass walls that open seamlessly to outdoor spaces, letting an abundance of light and views in. There is a large motor court and parking for 100+ cars. The estate sits on 7 magnificent acres, 4 of which are flat. 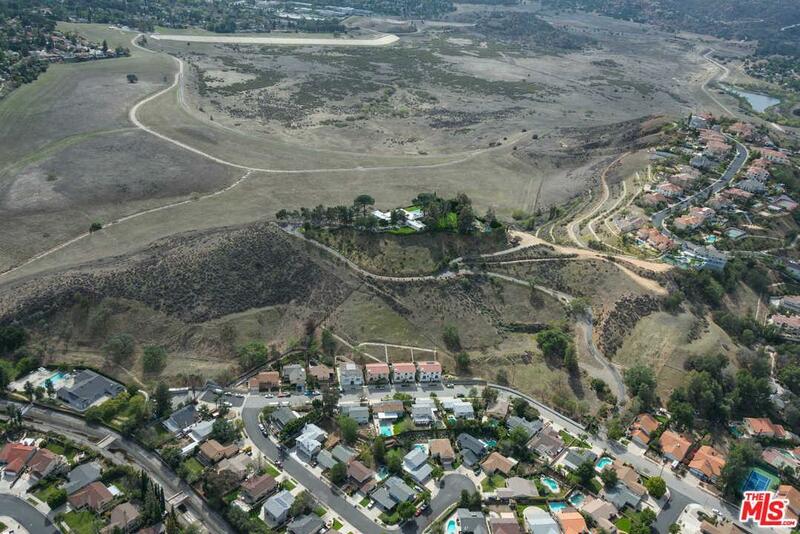 Listing provided courtesy of Craig Knizek DRE#01377932 of The Agency and Barrie Livingstone CA DRE# 01924599 of .